Welcome to the wonderful world of latex in all of its’ perfectly imperfect glory. 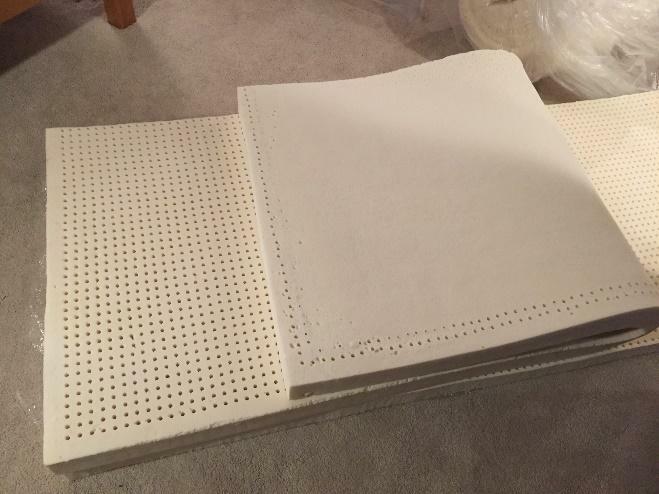 The Sleeping Organic concept is unique as your mattress arrives in customizable components that you can assemble and modify at home. 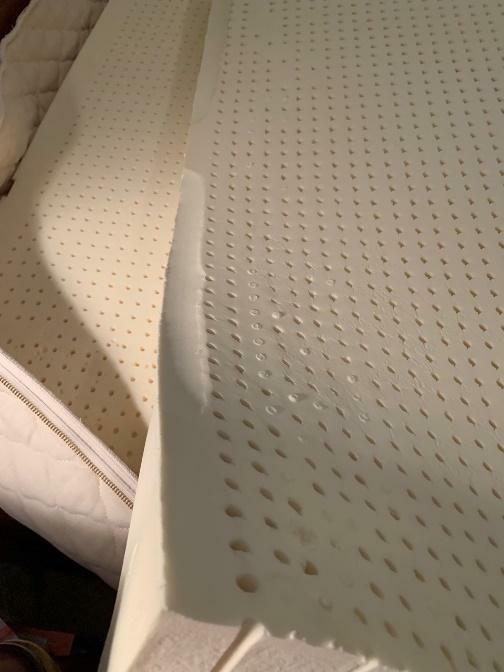 Because you have probably never seen what’s inside a mattress before, we want to prepare you for some variations that you may discover in your latex layers. 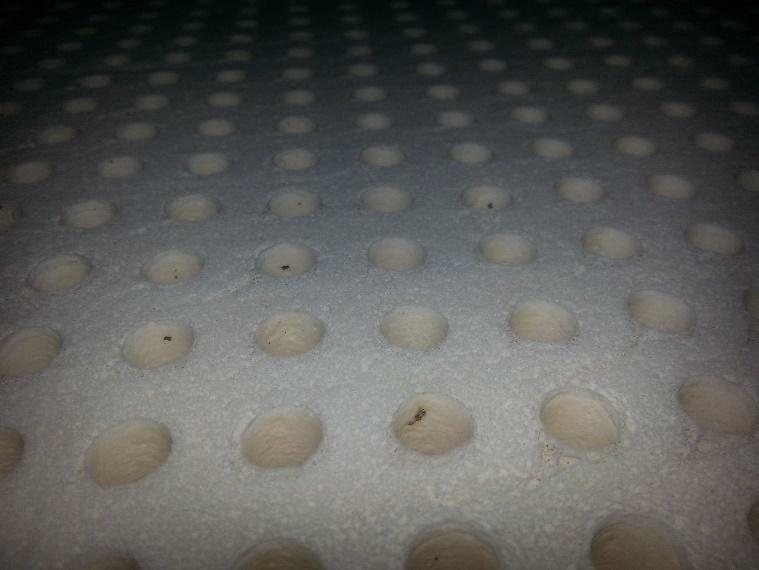 Keep in mind that the latex used in our mattresses and mattress toppers is either 100% natural or GOLS certified organic, meaning we don’t use any synthetic chemicals to create a homogenous product. Thus, this product is not perfect; it’s natural, clean and real. 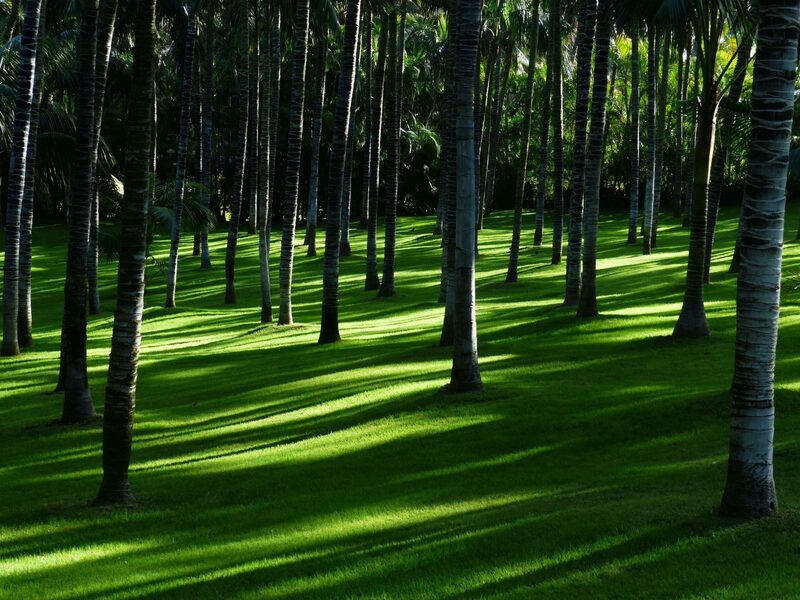 There will be variances in appearance and feel; but don’t worry! The variations detailed below will not affect the quality, longevity, durability or comfort of your product! 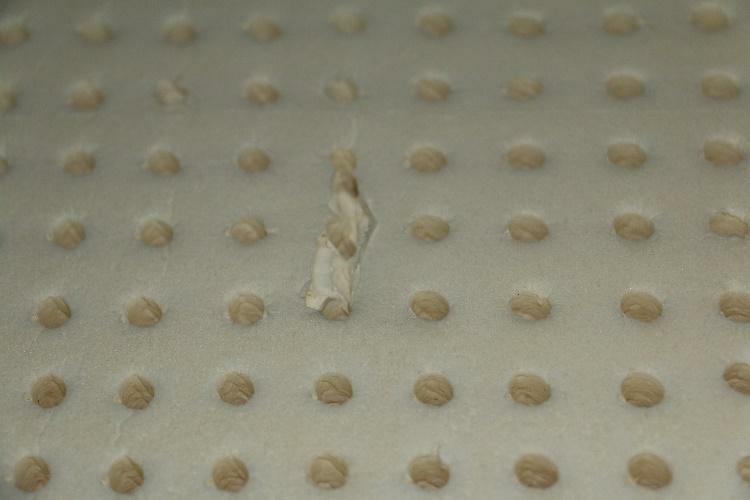 Small rips and tears are common; they are a result of pulling the latex away from hot iron baking pins during the baking process. When laid flat, these small tears are virtually unnoticeable. 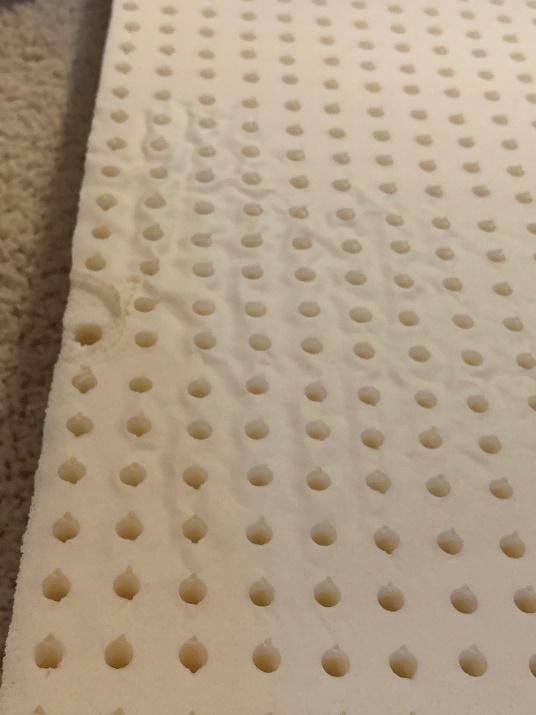 When encased in your mattress or topper cover, you won’t notice them at all! Again, small tears happen as a result of the manufacturing process. 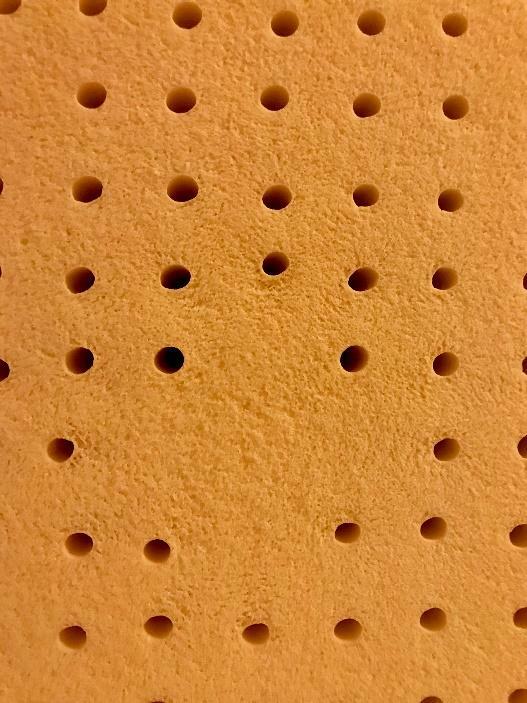 The little black dots you see here are ‘burnt specs’ of residual latex from the mold. This is an example of burnt latex sap, also known as a coagulum. This will have no effect on the performance of the mattress. 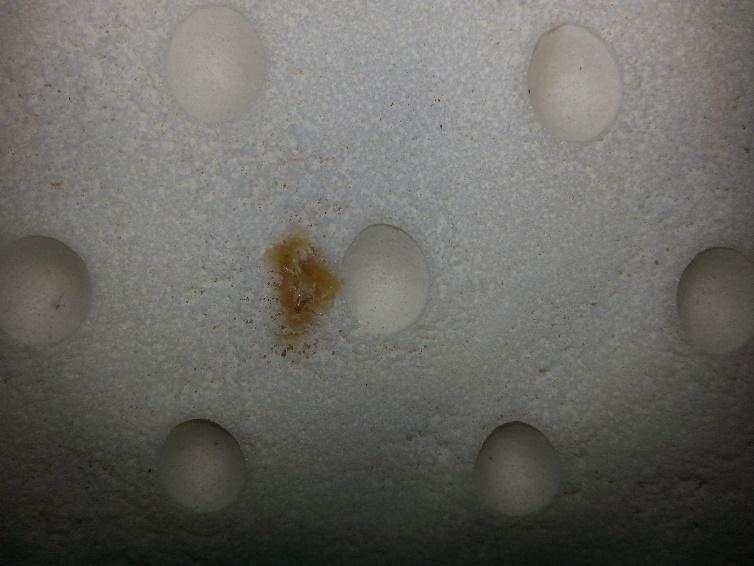 Discolorations are very common in 100% natural latex and are a result from the baking process. This is a void; Void’s are linked to the varying amounts of compressed air that is used to achieve different density levels. Sometimes those air bubbles surface while baked, causing ‘voids’. 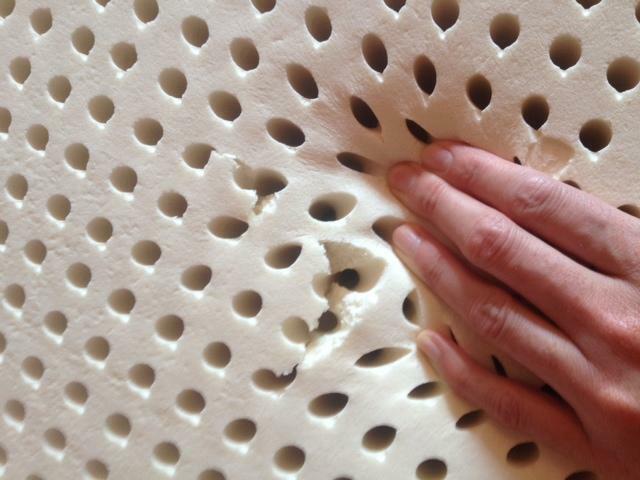 Another example of a “void” in latex foam. 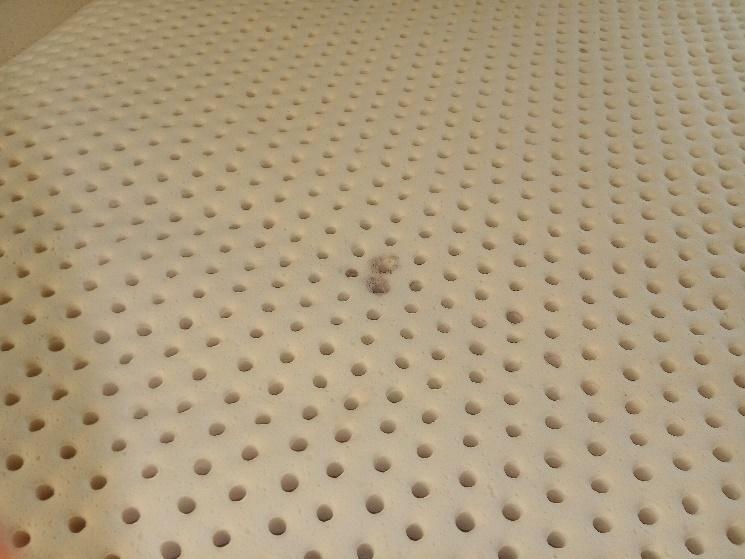 More voids which are again micro bubbles that surface during the baking process. 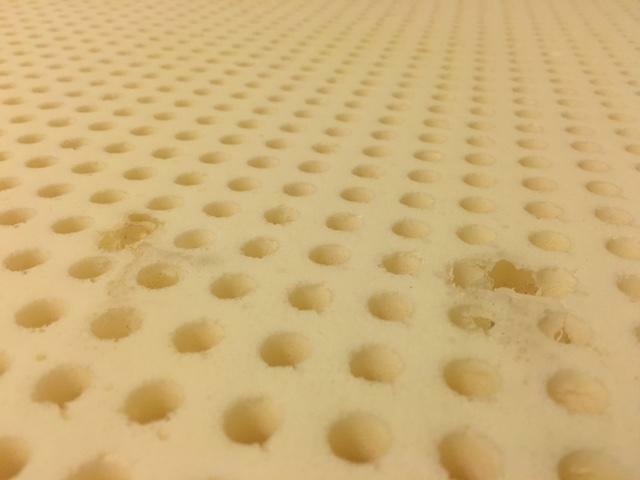 There are 24,000 baking pins in a king latex mold; sometimes the molds have a few missing pins, which results in an area that looks like this. 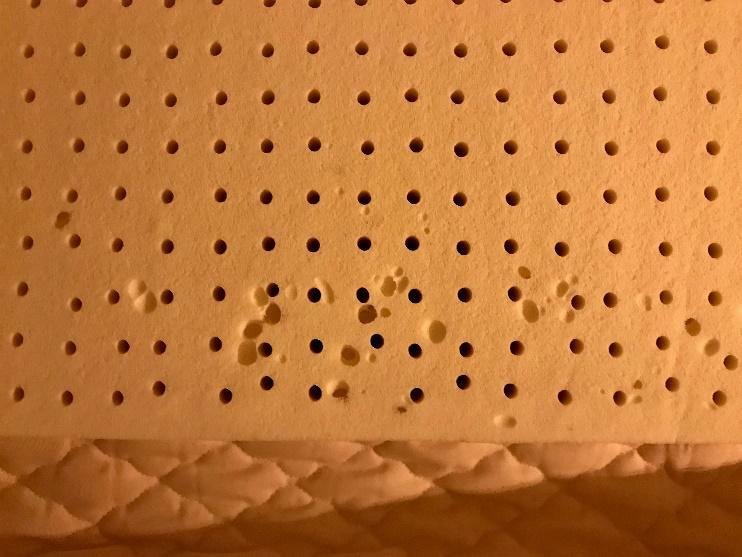 Will not affect the functionality or breathability of your mattress. This is a filler where latex was injected into the mold post manufacturing. These can also be squares or rectangles. The surface of your latex layers may display some inconsistencies in texture. Common and undetectable when encased. 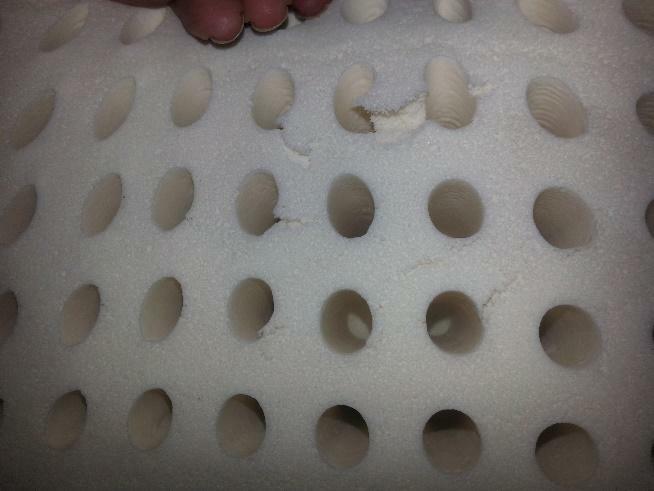 Variances like this on the sides of the latex result from a vacuum created by the insertion of latex foam and the side of the mold. This vacuum is a common occurrence. 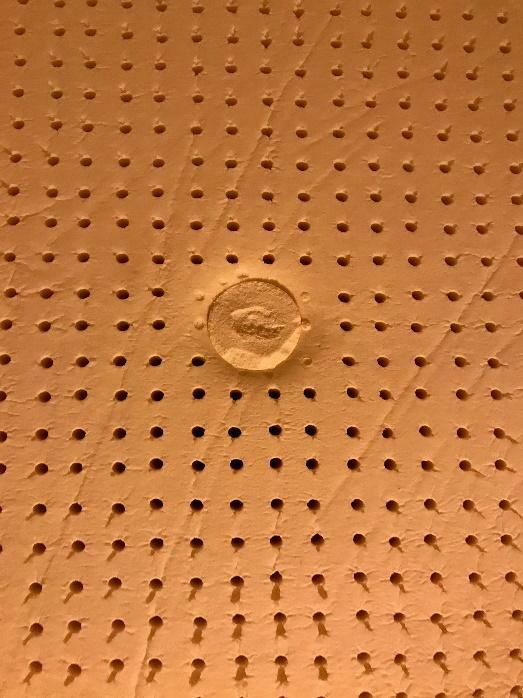 There are baking pins on the top and bottom of the mold that don’t meet in the middle. 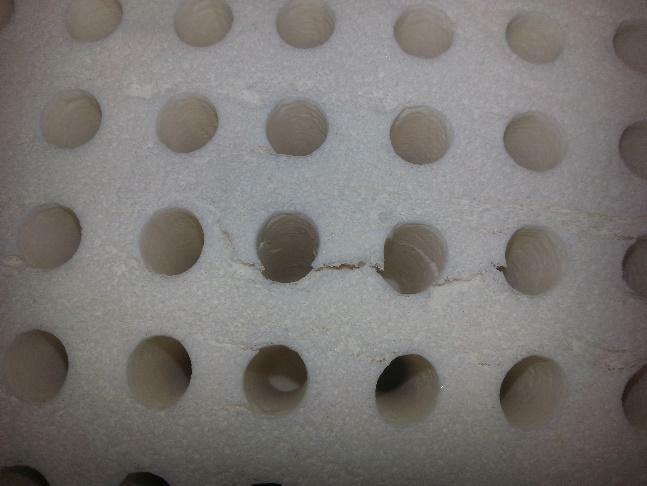 When the 6” latex cores are cut into 3” latex layers, many of the layers are left with ‘skin’. Roughly 60-70% of latex layers display this variation. 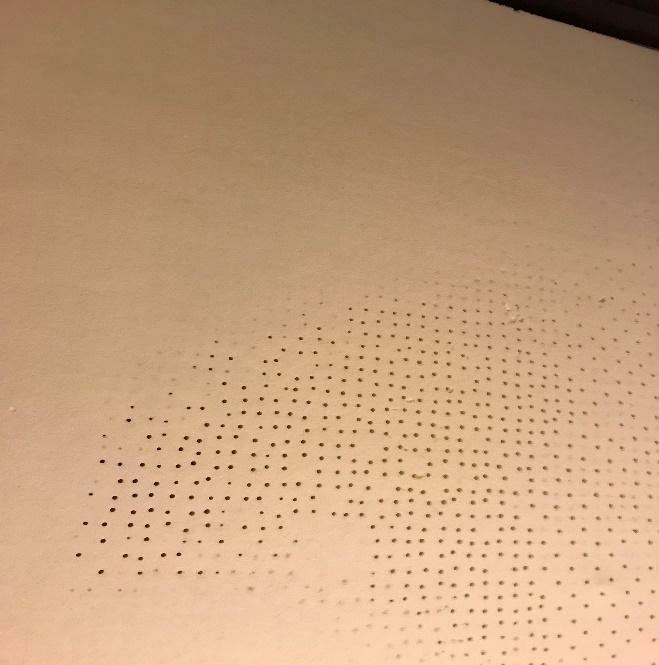 The skin has nothing to do with natural airflow in the material. Latex offers a circular cellular structure that is innately breathable. Don’t believe us? Blow up a balloon, grab a hair dyer and test it out for yourself! In our world which is inundated with perfect, cookie cutter products, it’s sometimes hard to accept imperfections. Just remember that this particular product is natural, it’s organic, it’s perfectly imperfect and it’s oh so comfortable! Will An Organic Twin Mattress Improve My Child’s Sleep?